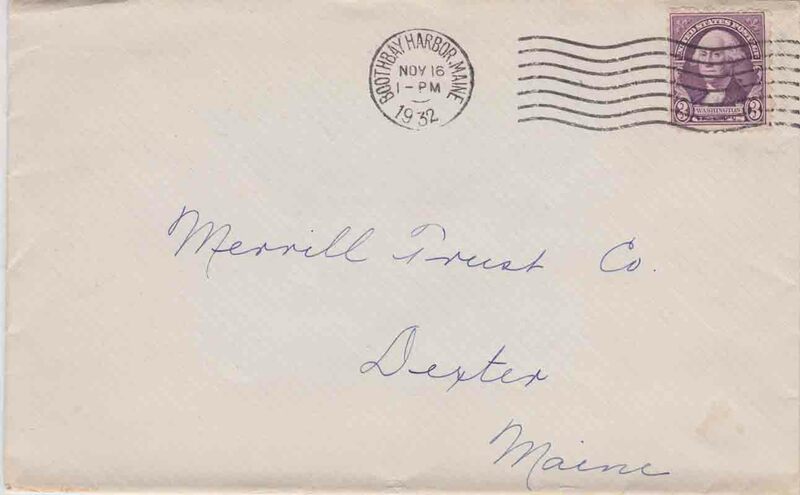 Thank you for the contributions to this page from the Strout family collection. 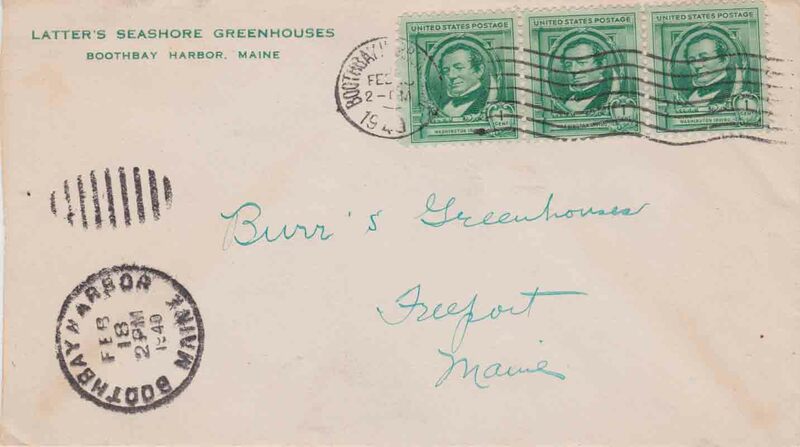 During the history of the town of Boothbay Harbor, there have been four post offices. 1. 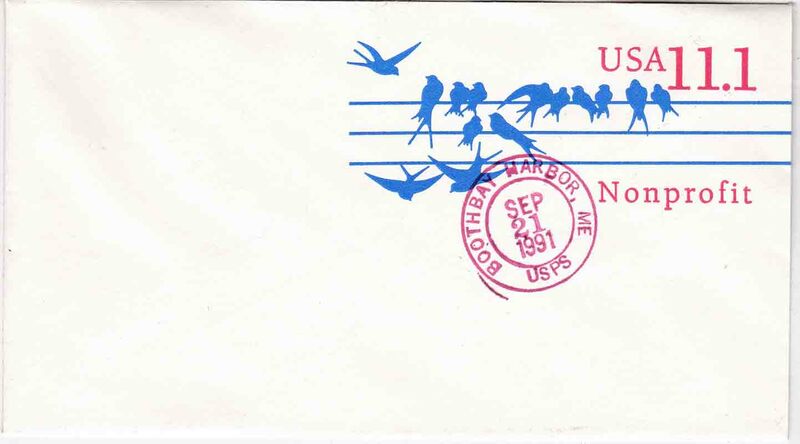 Bayville post office was established on 4 August 1894 and was renamed on 27 December 1963 as Bayville Rur. Sta. Boothbay Harbor. 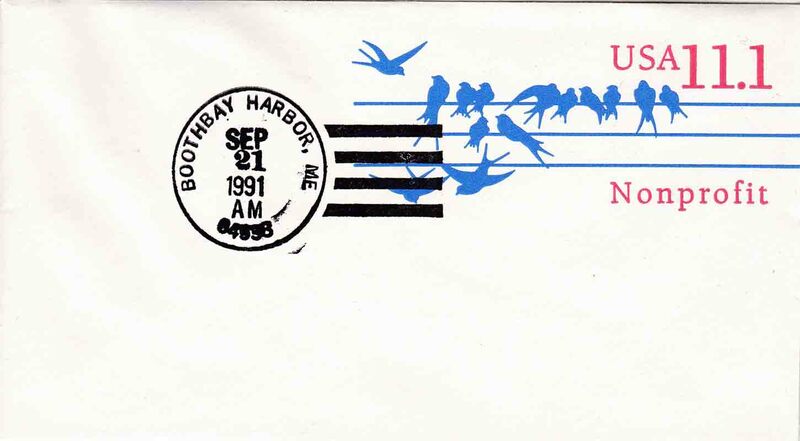 In June 1995, the latter was renamed as Bayville CPO Boothbay Harbor and is still operating. 2. 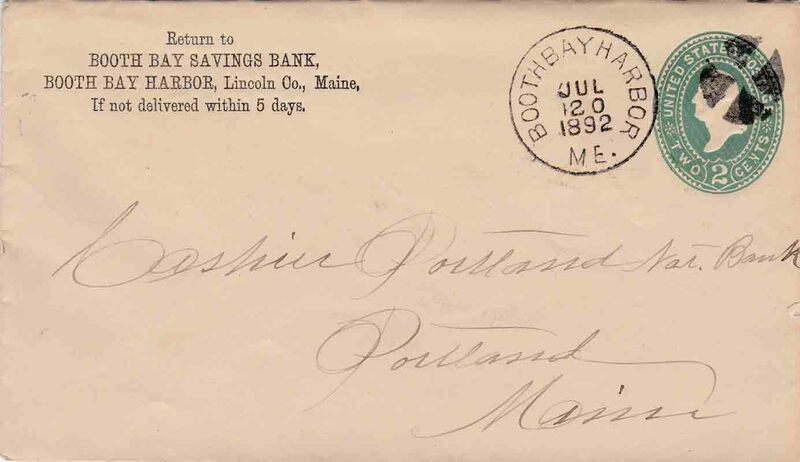 Boothbay Harbor post office was established on 27 March 1889 and is still operating. 3. Isle of Springs was established on 29 June 1892 and was renamed on 19 May 1967 as Isle of Springs Rur. Sta. 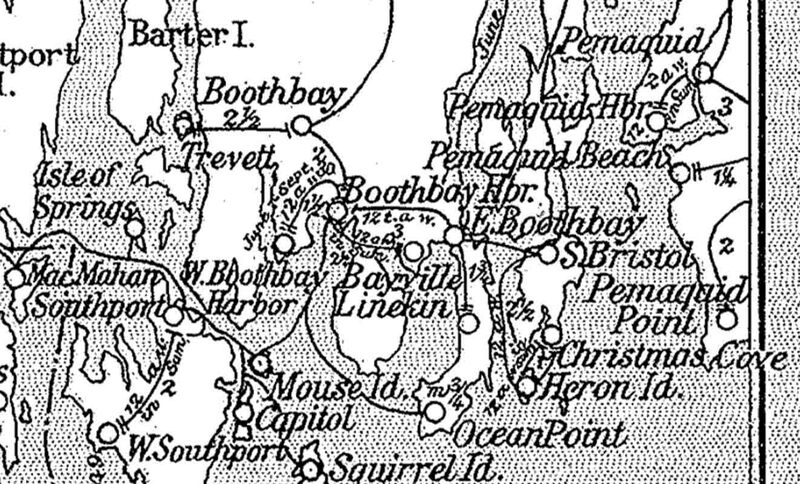 Boothbay, which was later renamed as Isle of Springs CPO Boothbay. More research is needed to clarify the history of this post office. 4. 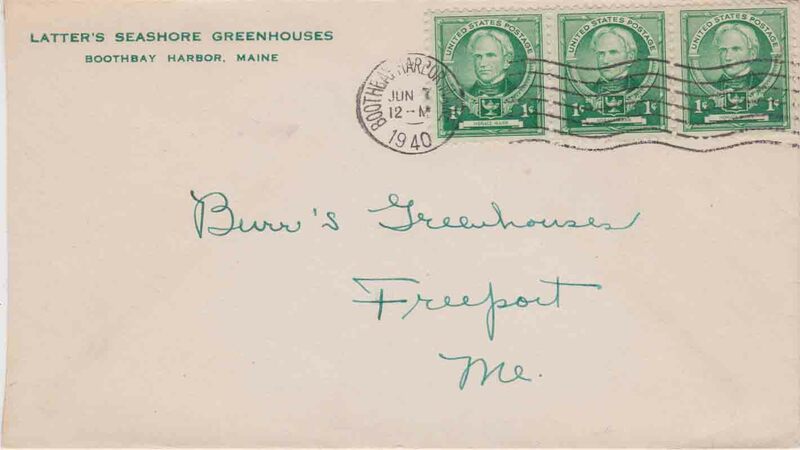 Haley post office was renamed on 26 March 1902 as West Boothbay Harbor post office, which is still in operation. The circular postmark is 26–27 mm in diameter. The circular postmark (lower left) is approximately 29 mm in diameter. The circular postmark is 20–21 mm in diameter. The circular postmark is approximately 21 mm in diameter. 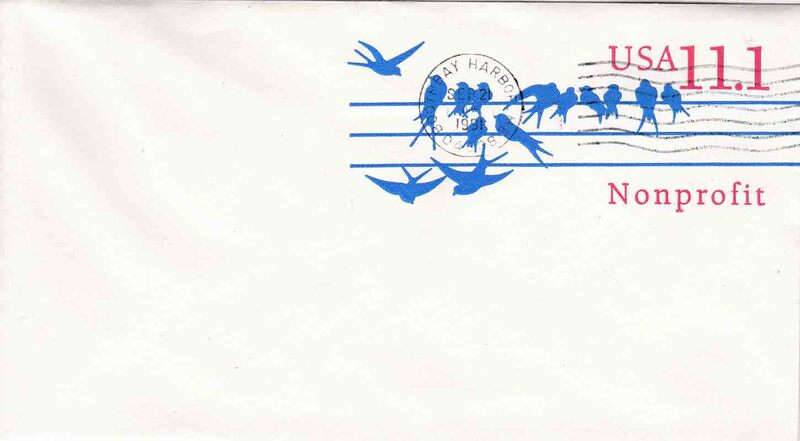 The circular postmark is 31–33 mm in diameter. The outside vertical height of the four bars to the right of the circle is approximately 19 mm. The outer circle of the postmark is approximately 28 mm in diameter; the inner circle, 22–23 mm in diameter. Boothbay Harbor post office is still in operation. 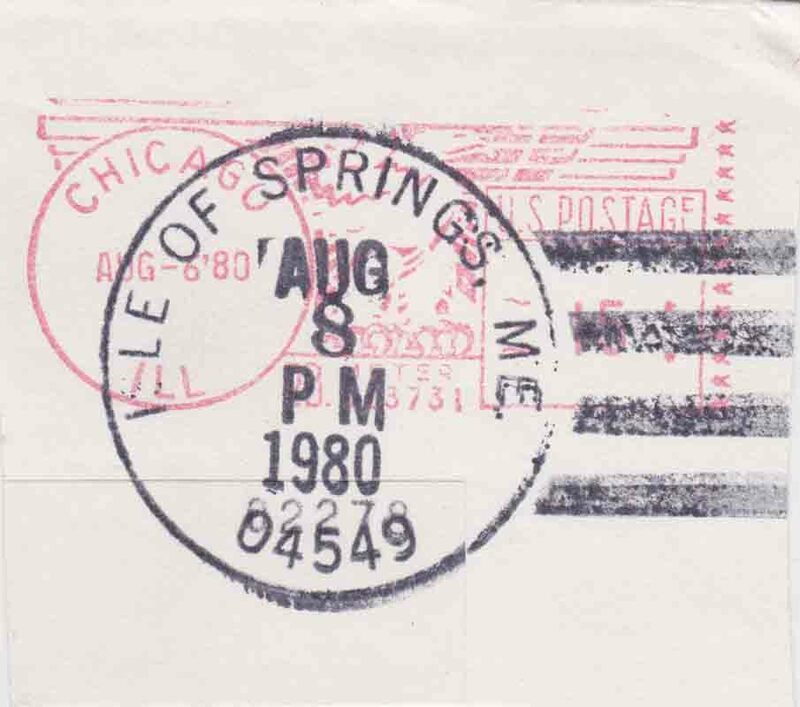 Isle of Springs post office renamed as Isle of Springs Rur. Sta. Boothbay. The circular postmark is 32–34 mm in diameter. The outside vertical height of the four bars to the right of the circle is 20 mm. Isle of Springs Rur. Sta. Boothbay renamed as Isle of Springs CPO Boothbay. Isle of Springs CPO Boothbay closed.